How has a family-run hotel in Jamaica become one of the leading sustainable tourism projects in the world? – and just how has the rise of social media impacted upon tourism market research? – and how effective are crowd-sourced destination strategies? 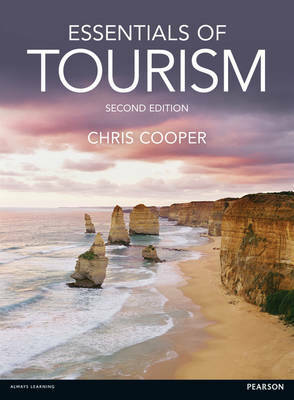 For answers to these and many other contemporary tourism questions, simply turn to the second edition of Essentials of Tourism by Chris Cooper. From digital marketing to assessing the impact of events, every tourism student will find this book essential reading for not only grasping the key issues but applying them to real worl problems faced by professionals in the tourism industry. The book includes many new case studies from every continent around the world including cases from Australia, New Zealand, Sri Lanka, Austria, Cambodia, South Africa, India and Bulgaria to give you a truly global approach to how tourism theory can be applied in an international context. This is combined with a lively and accessible writing style which will support and guide you through how tourism has been affected and will continue to be shaped by technology, changing government policy and sustainability concerns.